Racing NSW has purchased a 2,600 acre property at Capertee to be used for the rehabilitation, retraining and rehoming of thoroughbreds after their racing careers. 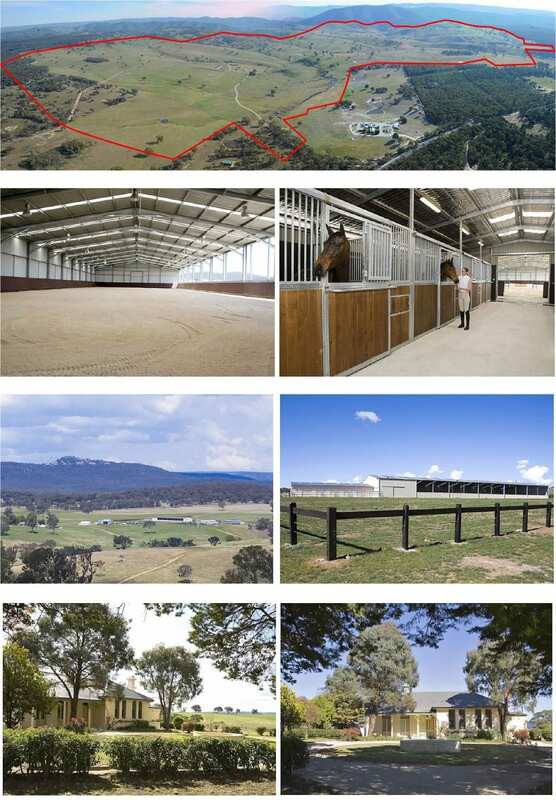 The Capertee property is located 40 minutes north of Lithgow and includes state of the art equestrian facilities that will provide the ideal environment for thoroughbred horses to be retrained after their racing careers. As part of the Racing NSW Equine Welfare Fund, horses will be retrained to find new homes in equestrian sports, pony club, polo and as pleasure horses or paddocks mates. All horses will be afforded the best of care and opportunity to find a suitable new home. The property will also be used as a location for industry training for future participants and as a home for retired champions of the turf. “This is a major investment, not only for the rehabilitation of racehorses which is a paramount objective of the board, but also as an investment for the future as a land bank that could have a multitude of uses for the NSW Thoroughbred Racing Industry in the future” said Racing NSW Chairman Russell Balding. The property is ideally located to serve as a weekend destination for people wanting to purchase a retrained thoroughbred. The 1890's built nine bedroom farmhouse will be converted to a Bed and Breakfast and there are ten authentic shearers huts for a unique accommodation experience. Eco-tourism activities such as trout fishing, four wheel driving, organic pick-your-own cooking and trail riding will be established at the property as part of the farm stay experience. In October 2015, Racing NSW established the Equine Welfare Fund, funded by 1% of all prizemoney paid in NSW totaling over $2 million per annum. The purpose of this fund is to ensure that all NSW domiciled thoroughbred horses will be appropriately cared for outside of their racing careers. This includes ex-racehorses as well as those thoroughbred horses that have never made it to the race track. Racing NSW has established a dedicated Equine Welfare team, including an Equine Welfare Veterinarian, exclusively for the rehoming of thoroughbreds after their racing careers. This entry was posted in Horse Care, NL List and tagged Australia, equine welfare fund, New Zealand, Off Track Thoroughbreds, OTTB, racing nsw, racing nsw equine welfare fund, russell balding, thoroughbred by Press Release. Bookmark the permalink.